Visit https://barronprize.org to find out more and submit an application by April 15. Since its inception, the Barron Prize has honored nearly 450 young heroes and has won the support of Girl Scouts of the USA, Jane Goodall’s Roots & Shoots, and the National Youth Leadership Council, among other organizations. 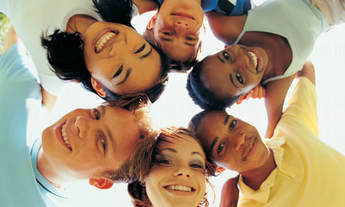 The annual application deadline for the Gloria Barron Prize for Young Heroes is April 15th. For more information, visit www.barronprize.org. Numi has introduced an indulgent and delicious Organic Chocolate Rooibos Tea, and we have been enjoying it every morning! Smooth South African rooibos is enveloped by sweet honeybush and rich cocoa. This indulgent treat is a delightful, soothing beverage you can melt into. Occasion: Great dessert tea; add honey if you desire. 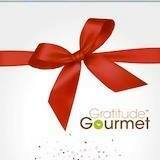 ​Leon Fast Vegan contains more than 150 recipes. Divided into three sections, it kicks off with The Main Event, with easy recipes for everything from breakfast and brunch to sharing plates, via quick suppers and slow-cooked one-pot dishes. Part two, On the Side, features sauces, dressings, nourishing side dishes and scrumptious breads, and part three, Sweet, gives vegan options for desserts and cakes. As ever, healthy fast food chain LEON takes inspiration from around the world, with recipes for vegan sushi, Mexican tacos, Vietnamese pancakes and American burgers. The emphasis throughout is on great flavour and keeping things simple. Whether you are looking for breakfasts or party food, weekday suppers or ambitious feasts, there is something here for everyone. You just have to try this. We love it with tofu scramble (see page 38) as well as on bagels. You can luxe it up by adding vegan caviar aka seaweed pearls—these are available online, and also from Ikea. as possible and no thicker than ¹⁄³² inch. 2 hours or overnight in the refrigerator. Local Hive™ from Rice’s Honey®, a leading producer of high quality, U.S.-only raw and unfiltered honey since 1924, offers 16 different local varietals of raw honey, including Local New England, Local Northeast, Local Florida, Authentic Clover, and Authentic Wildflower. Raw, unfiltered honey offers many health benefits, including being rich in antioxidants, vitamins, minerals, amino acids, enzymes and pollen. They also announced a new alliance with PACE, “Pollinator Awareness Through Conservation and Education”, the Butterfly Pavilion’s non-profit global initiative to restore habitats, strengthen populations, and reintroduce pollinators into native habitats around the world. A portion of proceeds from every bottle sold will be donated to the PACE initiative to promote and protect the prosperity of pollinators worldwide. Rice’s Honey® has a mission to help promote all pollinators & sustainable bee farms across the country. Check out their new website at: www.localhivehoney.com for more information and recipes. ​One of the biggest benefits of gardening with native plants is that it's great for birds and other wildlife. In return, your outdoor space will come alive with beautiful songbirds, colorful butterflies, buzzing bees and other fascinating wildlife for you and your family to enjoy. "Wildlife habitat gardens are an important way each of us can think globally, act locally and reconnect our own piece of the Earth—our yards and gardens—back into the ecosystem," says naturalist David Mizejewski. Mizejewski is the author of the expanded second edition of the book Attracting Birds, Butterflies & Other Backyard Wildlife, a practical how-to guide to natural gardening filled with projects, diagrams, plant lists and inspirational full-color photos for experienced gardeners and new enthusiasts alike. Attracting Birds, Butterflies & Other Backyard Wildlife makes creating a natural garden that supports local wildlife easy. It hits shelves on April 8, 2019, just in time to celebrate Earth Day by planting a wildlife habitat garden. Please meet Staci, the Founder and CEO of Sips by, sipping on her favorite - oolong! What is your favorite tea? Sips by is an Austin-based brand started by tea lovers who want discovering tea to be fun, personalized and affordable. We requested a sample of organic teas and received a personalized collection of delicious teas such as Berry, Coconut Cacao Pu'erh, Lemon Balm, and Kashmiri Chai. Each box features 4 unique tea brands totaling 15 cups of tea at only $15 a month. Cheers! Enjoy these cookies for breakfast with bananas, almond butter and oats. If you want to lower the sugar, skip the vanilla bean glaze and use the no sugar added pure vanilla extract. These grab-and-go Banana Bread Breakfast Cookies with Vanilla Bean Glaze courtesy of Nielsen-Massey will make the perfect dunkers for your morning cup of coffee. Mash the bananas with a fork or potato masher in a large mixing bowl. Add egg, almond butter and vanilla extract; stir to combine. Add oats, flour, coconut sugar, cinnamon, baking powder and salt. Mix until just incorporated. Spoon the dough onto the prepared baking sheet, making about 15 cookies. Bake for about 15 minutes, or until the cookies turn golden brown. Allow to cool completely before adding the glaze. Add confectioners’ sugar, milk and vanilla bean paste to a bowl. Whisk until smooth. Do you remember your walks in the woods as a Child? Do you want to relive the feeling of being enveloped in Nature and all its Wonders? Then you will love Child of the Woods: An Appalachian Odyssey. Child of the Woods by Susi Gott Séguret is an exploration of the world through the eyes of a young child, whose life was defined and enriched by nature that surrounded her. This collection of short stories and insights highlights the wonders of growing up in rural Appalachia, learning to live as one with the land. These stories embrace the universal themes of self-discovery, adventure, and finding one's place in a living world. Garden Lites®, a leader in unique veggie-rich foods has expanded their product line into Costco stores throughout the country. Consumers can also expect to try free samples at select Costcos over the next several months. The products include the new line of Garden Lites Frittatas: Spinach Egg White Frittata and Veggie Bacon & Potato Frittata (vegetarian, soy free and made with pinto bean bacon). Other products include, the popular Garden Lites Muffins made with fresh zucchini and carrots: Blueberry Oat, Cranberry Orange, Banana Chocolate Chip and Double Chocolate. Enjoy! Almond Sesame, Toasted Coconut, and Sriracha Almond. These are the amazing and tasty flavors for gimMe Seaweed Thins which are a superior superfood snack choice with a mission to not only keep your diet healthy, but also your environment. Seaweed is a sustainable crop that benefits the health of our ocean ecosystem and our planet and is full of nutrients, including high levels of vitamins A, B, C and calcium. in addition, 15-100 times more volume of seaweed can grow on the same footprint as lettuce with no water consumed in production, whereas 15 gallons of water are required to produce one pound of lettuce. The entire gimMe Snacks product line is made with premium USDA Certified organic seaweed sustainably cultivated and harvested in South Korea. Enjoy! We are looking forward to the San Francisco International Ocean Film Festival this year March 7-10, 2019. With her new cookbook Martina’s Kitchen Mix: My Recipe Playlist for Real Life (Oxmoor House, October 30, 2018, $30), you’ll find your own invitation to step inside Martina’s kitchen and sample more than 150 of her favorite dishes. Check out her delicious recipe: Shredded Brussels Sprouts Salad with Maple-Balsamic Vinaigrette. Enjoy!! 1. Whisk together the olive oil, vinegar, maple syrup, and Dijon in a medium bowl. Season to taste with salt and freshly ground black pepper. 2. Thinly slice the Brussels sprouts, discarding core. Stir together the Brussels sprouts, sliced shallot, dried cranberries, pecans, Gorgonzola cheese, and chopped pear. 3. Pour the dressing over the salad, and gently toss to combine. Serve immediately. Excerpted from Martina’s Kitchen Mix by Martina McBride. Copyright © 2018 Oxmoor House. Reprinted with permission from TI Inc. Books, a division of Meredith Corporation. New York, NY. All rights reserved. Sambazon is diversifying its line of products by using Acerola as the main ingredient in its latest Superfruit Packs launch. The Tropical Immunity Superfruit Packs have an exotic blend of organic acerola, pineapple and banana that you can blend into a delicious smoothie. One serving of the Tropical Immunity Superfruit Packs contains 10 times the vitamin C of an orange, is only 40 calories and has no added sugar. Acerola is a cherry native to Central and South America in the Amazon Rainforest and is a powerful superfruit, known to be one of the highest natural sources of Vitamin C with immune-boosting properties. The naturally low-sugar and low-calorie fruit contains powerful antioxidants that help promote heart health, good digestion and eye health. Stoneridge Orchards has a new Reduced Sugar product line. 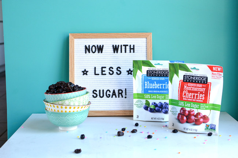 Available in Montmorency Cherries and Dried Blueberries – these snacks are only 130 calories (per serving), 50% less sugar than before and are rich with fiber, free of preservatives, non-GMO, and gluten/allergen free. This December ChocZero has launched a Sugar Free Peppermint flavor of their best-selling Keto Bark. The festive packaging makes it a perfect holiday hosting gift, stocking stuffer or sweet treat for Mr. and Mrs. Claus after a long night of wrapping gifts. One bag of SmartSweets fun-pack gummy candy only has 3 grams of sugar, where normal gummy candy can pack an average of 24 grams of sugar! Check out their super cute holiday packaging—ugly Christmas sweaters filled with snowpeople and Christmas trees that taste like pineapple and strawberry! SmartSweets candies also include Fruity Gummy Bears, Sour Gummy Bears, Sour Blast Buddies (Vegan) and Sweet Fish (Vegan). 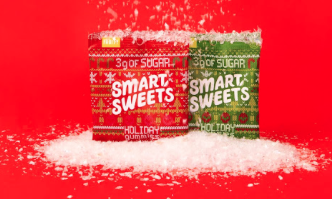 Find SmartSweets holiday packaging in-stores nationwide at Whole Foods, and all of SmartSweets Kick Sugar candy in 6,500 stores across Canada & the USA!